Have you ever seen a man bite an accordion? That’s just one of the idiosyncrasies one encounters while watching Belarusian artist Yegor Zabelov live. One of the most original – and acclaimed – accordionists anywhere in the world, Zabelov is a composer, producer, and author of music for films and theatrical performances, a virtuoso whose work is as enchanting as it is inventive. He’s been playing since he was 7 – his father was his first teacher – and completed his education at the prestigious Belarusian State Academy of Music; since then, he’s played in numerous bands, composed many scores, and wowed audiences across the globe. His music may be rooted in folk traditions but, restlessly curious, over the years he has immersed himself in numerous, disparate genres; rock, jazz, avant-garde, and neoclassical are just some of the influences that swirl around his haunting, intense soundscapes. Equally adept at conjuring impassioned slabs of noise as channelling the minimalist atmospheres of Phillip Glass and Arvo Pärt, his shows are an emotional rollercoaster of joy and wonder, for him as much as the audience – hence the tendency to seemingly sink his teeth into his instrument while his fingers dance away at a dizzying speed. 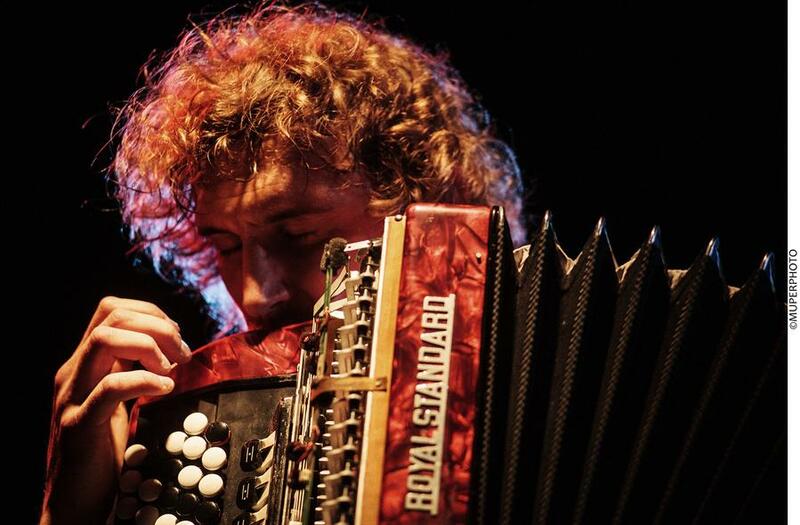 Both with his duo Gurzuf, and more recently with his self-titled trio, Zabelov has redefined what is possible with accordion music and reignited interest in the Eastern European avant-garde and experimental world. You won’t believe the sounds he’s capable of squeezing from his instrument, nor the wondrous sonic worlds he opens your ears to.